Isn’t it frustrating when you find an awesome watch stored away in a box somewhere and you really want to wear it, but the batteries have ran out. There may be ways to get them back up and running again, but it’s all too much hassle when you just want to slip your watch on and go. Generally these watches end up back in the box again until you find it again five years later and lament the lack of a rechargeable battery! Of course there are ways you can have an awesome watch which can spring back to life after being stored in a drawer for decades, not just years. These watches have been around for a while but some people are still weary of them, thinking they may not be all that reliable. These are solar powered watches and are manufactured by practically all of the major watch companies. Not only is a solar powered watch going to make you much happier if you find one stored away in a box, but they’re better for the environment too. Citizen’s Eco-Drive watches are one of the most popular solar powered watch ranges on the market, the technology used in Eco-Drive won Citizen the Gold Prize at the Eco Mark Awards in 2014. If you like the idea of helping save the environment and not being disappointed if you find a watch which you’ve stored away for a few years, but you’re not sure if they’re reliable enough – then read on. You’ll be pleasantly surprised! It’s important to recognise that, similar to the technology in luminous watches, there are different types of technology used in solar powered watches. This means that a solar powered watch which you owned a few decades ago but didn’t work very well is not going to tell you whether a new solar powered watch is going to be reliable or not. 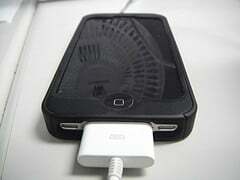 In a lot of ways it would be like considering whether to buy a new I-Pod on the quality of early MP3 Players. Since the release of the early solar powered watches there have been massive improvements in the efficiency and storage capacity of the solar panels on your watches. The storage capacity of today’s solar powered watch is so great that an Eco-Drive watch can run with no further charging from 30 days to 3,175 days (over 8 years) depending on which model you buy. Another positive of the technological improvements is that solar watches of today don’t have to have the crazy innovative designs that the solar watches of the 70’s and 80’s needed in order to incorporate the solar panels to power the watch. Thankfully the solar powered watch of today doesn’t look like some scary vision of what the 70’s thought the future would look like. They look just as stylish as any other watch you’d find today. So, don’t base your opinion on solar powered watches on the solar powered watch you owned 20 years ago. Today’s watches are much more efficient, much better designed and much more reliable than any solar powered watches of the past. Even though the name solar powered implies that the watches derive all of their power from the sun, this is not the case. You can charge up solar powered watches with artificial light as well as sunlight. 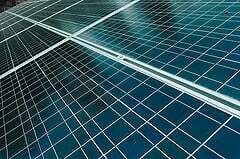 This means that your solar powered watch is going to be a lot more reliable than you would imagine as it will charge up whether in sunlight or artificial light. Even though you’re unlikely to be out of the sun for long enough for your watch to run out of charge, if your watch charges up under artificial light then you know that you’ll always have a lot of charge on your watch. This is also useful if you don’t use a watch for a long time and you want to get it up and running straight away to wear it for an evening out. One great positive of solar powered watches is that they are almost always charging, which means that the power reserve is only used when there is no light source. Some Eco-Drive watches have a power reserve of more than 8 years, unless you’re planning on joining some civilisation who live in darkness underground – your watch isn’t likely to run out of charge. However, there are one or two things to keep in mind about the constantly charging nature of the watches. Firstly, regular recharges will degrade the battery in the watch – as with any rechargeable battery, they can only handle so many recharges before the battery life starts to fail. 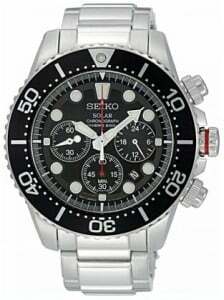 Secondly, Seiko, who manufacturer Seiko Solar watches, recommend that you replace the battery every 10 years in order to ensure best performance. This may not sound too great when you’re considering the reliability of a solar powered watch, but it’s important to remember that the watches can last beyond 10 years depending on how you use them. Citizen Eco-Drive watches include a secondary battery and tests by Citizen have shown that the secondary battery can retain 80% of its storage capacity after 20 years. So, even though you may need to replace your battery after 10 years, it is possible that your watch may last for longer. When you consider a solar powered watch you don’t need to look through a load of cheap watches from unknown brands. Solar watches are made by the top watch manufacturers like Eco-Drive by Citizen, G-Shock by Casio and Solar by Seiko. Buying from the best quality brands means that you will receive quality accurate watches which will stand the test of time. It also means that you will receive a full guarantee from the manufacturer, which will give you piece of mind in case anything goes wrong. Thanks to the wide range of different manufacturers available, you can find a watch from a manufacturer you trust and a style you admire. 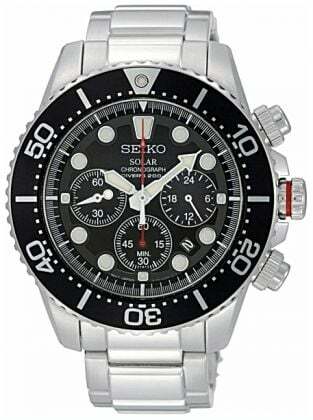 Since the first solar powered watch was released in the 1970’s, solar technology has improved. Early watches were made in strange styles in order to accommodate the solar panels and weren’t always all that reliable. Thankfully, since those early years, things have improved. 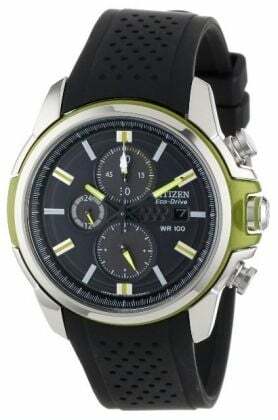 The improvements mean that a solar powered watch is just as reliable as a quality quartz watch. So, if you want a quality watch which helps the environment and is incredibly reliable – pick up a quality solar powered watch from us today! 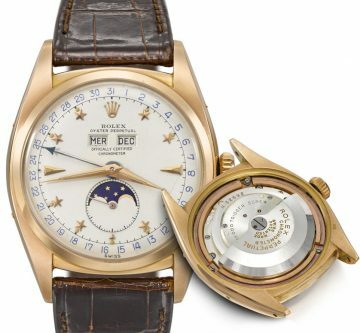 The Rolex Stelline – A £1M Watch! 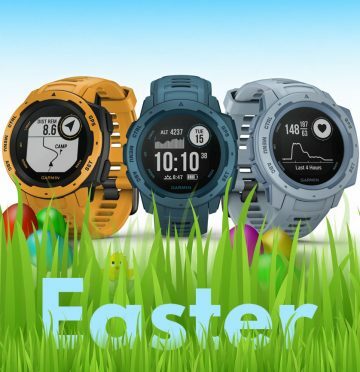 Our Favorite Easter 2019 Watches!